I have been the Proud tenant of Plot 10b of the Cleveley Avenue Allotment Society in Chorlton, Manchester for 5 years now and although they have their own blog I thought it was high time I document what happens on my very own plot. My aim is to write a post for each month’s activities and plans for future planting . Hopefully, it will highlight the ups and downs of growing your own fruit and veg, but I’m sure I will be able to throw in a story or two along the way of neighbourly interactions and insect infestations to keep everybody happy. We are all well aware by now that the weather has been unseasonably warm but when I went to take the first photos in mid January I was still quite shocked. 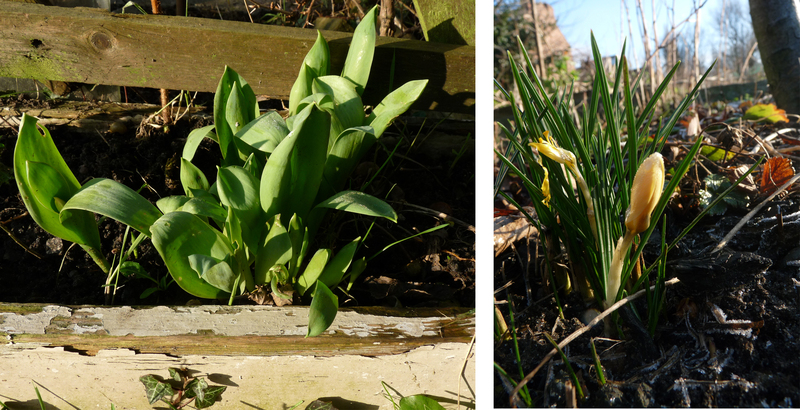 I thought I might find some new shoots from spring bulbs coming up which I did. The onion sets and garlic I planted in November have been growing away merrily in the mild weather with their tops getting quite high but with the high winds in December and some hungry birds have knocked them a little. 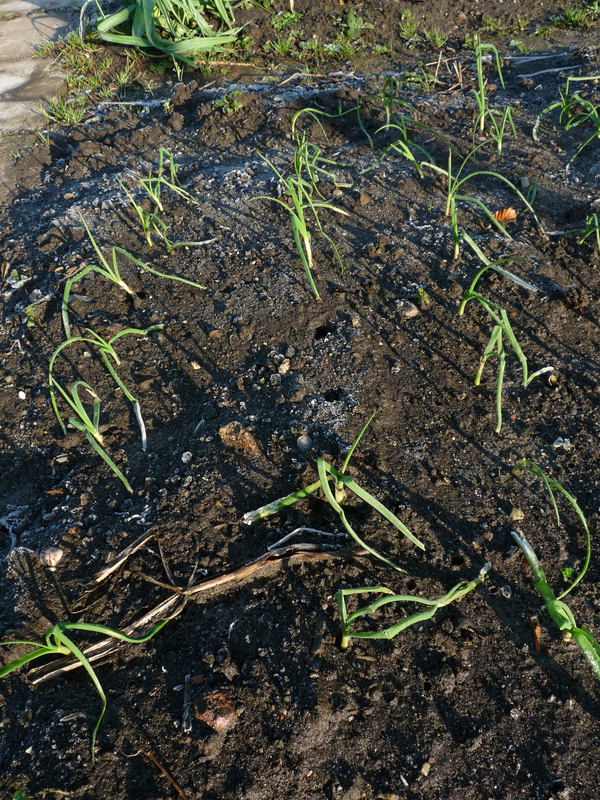 A few holes have appeared where onions used to be. I have had great results from purple sprouting in previous years with much accolade from neighbouring plots asking how I have managed it. But it appears my brassica fingers are not so green this year as the three plants which have survived are showing signs of stunted growth – a sure sign they have been hit by club root. I think this is because I put them in too close to where the cauliflowers were and maybe a little more liming was required as the soil in this area is known for being acidic, although I have never tested myself. 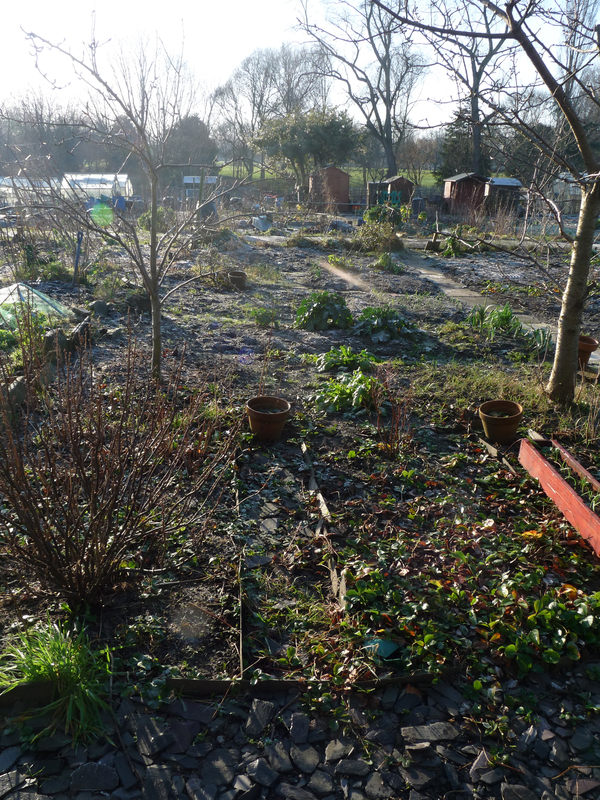 As I manured the whole plot over last winter the last few months have been fairly quite with not a lot of activity. 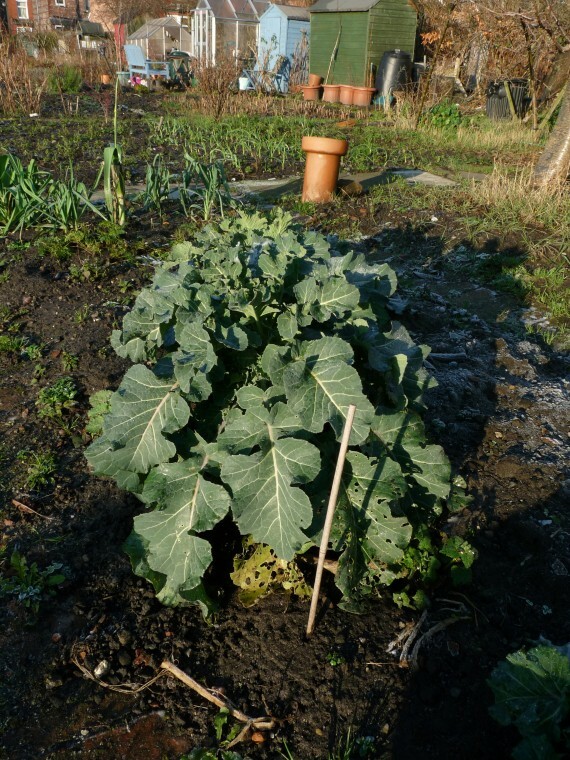 I am still waiting for the broad beans I planted two weeks ago to make an appearance while preparations have begun for the parsnips to go in for about mid February. Meanwhile I have planted a variety of tomato seeds including some stripy and beef along with the good old Alicante, with some sweet pepper and chillies in trays which, when the weather gets a little warmer I will transfer to the green house. These did very well last year so here’s hoping for another good crop with the 2nd year seeds. 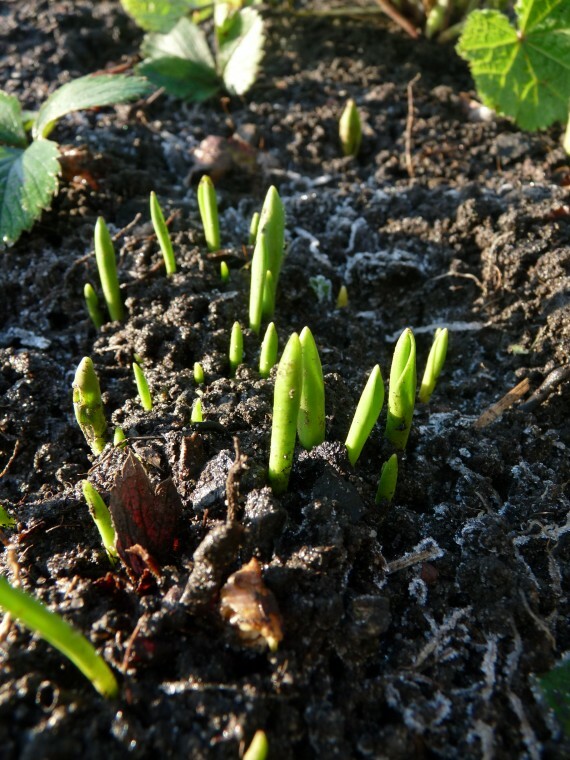 This entry was posted on Thursday 2nd February 2012 at 1:14 pm and is filed under Allotment.